Autodesk 2012 products may exhibit these issues on systems where the screen scaling is set to 150%. You can work around this by setting the screen resolution of your system to 96 DPI (or 100%). An alternative method is to right-click on the AutoCAD icon, select the Properties settings, and select the option to "Disable display scaling on high DPI settings." Autodesk is sponsoring the attempt to cross the Atlantic Ocean in a pedal-powered boat. A team of British engineers relied on software from Autodesk, Inc. to design an innovative pedal-powered boat for a 3,000-mile trans-Atlantic race to raise money for charity. Autodesk’s press release and Torpedalo. We got a sneak peek of 123D some time ago but not much info. Now it’s here and it’s a new free 3D solid modeling software based on Inventor Fusion. We believe that inventive ideas have the right to be made into real objects. We love it when an idea becomes tangible; when you hold the real thing you dreamed up and made in your hands, and realize how awesome you are because check it out, it works! That feeling is what we're all about, our mission is to provide access to the tools to help you take your concept and make it reality. This is your home for useful tools for making things; for giving shape to that idea you have, exploring it, and most importantly, making it. Here you'll find software, content, and making services that work together so you can create, explore, and quickly make a physical prototype of your project. Autodesk® 123D™ is a public beta because we're growing and developing, and we want your input! So please, post your ideas to the 123D product forum, we're interested in what you're thinking! See more on Between the Lines post Autodesk 123D - Go Make Something. The download is available at 123dapp.com and is around 400MB. For Windows only so far. And here is the application window. Looking for Flexible License Reporting and be able to create charts, lists and HTML reports of license or application usage? 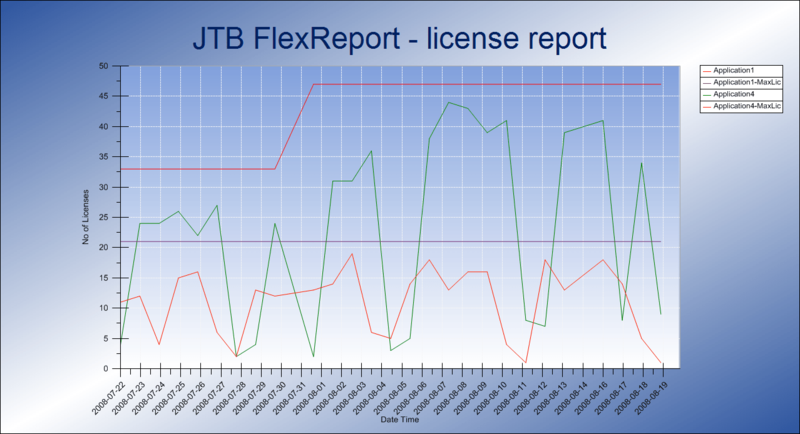 JTB World’s JTB FlexReport has been updated to version 6.2 and adds more functionality for that purpose. SLM/Sentinel and LM-X support added. Process Monitor support of projects. Added support for finding IPv4 and IPv6 for hosts making it possible to create group based on IP patterns and also create reports based on these groups. For more details on the news and fixed bugs see the revision history. JTB FlexReport is a report tool for applications using the FlexNet / FLEXlm (flexlm license manager), IBM LUM (IBM License Use Management), SPLM (Intergraph SmartPlant License Manager), SLM/Sentinel, LM-X (X-Formation), Solidworks SNL License Manager, Primavera from Oracle or 12D software licensing as well as any Windows application like Acrobat, Visio, single licensed AutoCAD or AutoCAD LT. Do you want to optimize your software purchases tomorrow? JTB FlexReport is an inexpensive solution that will help you. By the license tracking JTB FlexReport does and the graphic reports that can be produced JTB FlexReport will helps you to manage and forecast future license usage and license usage trends at your company. Process Monitor is an extra module for JTB FlexReport that can be used to monitor usage of most any Windows application. Process Monitor has been used to gather usage data of AutoCAD LT and single licensed AutoCAD to determine how much these applications are used and to decide if network licenses is a better option and if so, how many licenses are needed. Process Monitor now has the option to show a dialog box like below when a user starts any application specified to be monitored. This will save a project with the database transaction so it eventually will be possible to report on. Existing customers with current maintenance are encouraged to install this new version. If you want a free trial of JTB FlexReport Contact us for a license to activate the time limited fully functional version for a few weeks. DWGNotes 1.1 makes it possible to try this app 30 days for free. AutoCAD 2012 and verticals adds support for the new AutoCAD plug-ins autoloader and can add the DWGNotes panel to the Plug-ins Ribbon tab. With DWGNotes you can add notes or comments in AutoCAD DWG files and optionally be notified about the note when the drawing is opened. Turn on DWG Notes Notification and this is the message displayed when opening the a drawing with a note in it. 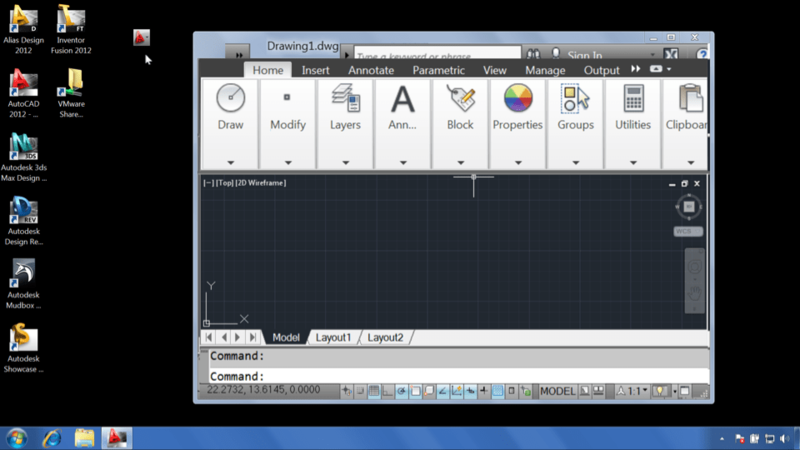 If you use AutoCAD 2011 go get Update 2. AutoCAD 2011 Update 1.1 is a prerequisite. Updates have been made in the following commands and features: 3D Cache, Annotation Scaling, ASM, DBX-ACDB, DRAW2D, Drawing Tools, eTransmit, Hatch, Layer, Layouts, Mtext, OLE, Options and Text. .NET API is not always able to create a polyline boundary. AutoCAD may become unstable when selecting Perspective in the View Cube context menu. 3Dconnexion device may not work properly on a 64 bit Operating System in 2D mode in paper space. 3Dconnexion device performance may be slow when zooming and or working in a 2D visual style. Extrusions from mesh face path may not be able to follow multiple segment paths correctly. Using an API to render AcDbSubDmesh may lose its orientation, scale and original texture mapping. AutoCAD may become unstable when editing a drawing with all 3dosnaps enabled. Command line history may display items that were not entered through the command line. When trimming polylines and arcs the shape can change and sometimes decurve. Polylines may return a negative area if you have used the REVERSE command. WBLOCK may be unable to save the drawing to the AutoCAD 2000 file format for “DWG” and “DXF”. Plotting DWF Classic may be missing lines on the final DWF. Drawings rendered in AutoCAD 2012 may display an error when rendered in AutoCAD 2011. When rendering a drawing, you may receive an error message about missing assets. Input value may not be displayed in the recent input right click menu. AutoCAD may become unstable after editing Mtext and then changing viewports. Unable to export multi-line attribute values with ObjectDBX. You may receive an "Invalid Drawing" warning when opening up drawings created on AutoCAD 2011 for the Mac. AutoCAD may become unstable when importing a profile that contains a change to the STATUSBAR sysvar. Perpendicular Osnap behavior is different when grip editing Lines and grip editing Polylines. Drawing files created with non-Autodesk products can now be successfully opened using the COM AcadDocuments::Open API. Some custom lisp routines may run slower than in previous releases. Performance may be slow on Windows 7 with selected polylines while zoomed out as far as possible. Property Palette may become slow when selecting dimension entities. Running recover on some DWG files may cause text to move in the DWG. Custom menu macros that send numbers to the command line will only work once when entered from the Ribbon. AutoCAD may become unstable while editing MTEXT. When Workspaces are set to automatically save changes, restarting AutoCAD may result in both the Ribbon and the Command line being turned off. Autodesk Seek will be enhanced with a file quality rating. Here is a chart showing the file quality icons. This is an example showing one rated product an one that is not yet rated. Autodesk has announced the integration of a new quality rating system within Autodesk Seek, a free web service that enables architects and design professionals to quickly discover, preview and download branded and generic Building Information Modeling (BIM) models, drawings and specifications. To help architects, designers and manufacturers ensure quality when using intelligent models, drawings and specifications found in Seek, Autodesk will evaluate and rate each item using a set of seven icons. Additional ratings will be introduced over the coming months, beginning with ratings for chairs, doors, tables and benches. Additional model types will be evaluated throughout the year. Some stats: Autodesk Seek is right now averaging 850,000 searches per month and 1,800,000 visitors this year alone, with nearly half of all visitors downloading files. Via AutoCAD 2012’s Content Explorer, Autodesk Seek can be explored. Not sure though if the ratings will show up there. SmartPurger has been updated to version 3.2.1. Fixed a problem showing file properties on 64-bit systems. There is also a portable download with the possibility to get the files without the need run the installation. Just extract the files to any folder on your computer or USB memory and run SmartPurger.exe. AppShortcuts.vbs can be used to create either a Desktop or Start Menu shortcut for the program. Download SmartPurger and update if you previously have purchased a license or give it a try for free. Limitation with the download without a license file is that only three drawings can be processed per SmartPurger session. For a trial that is fully functional but time limited Contact us. SmartPurger is a batch and script utility for processing multiple AutoCAD drawings with full control. Execute LSP or SCR files on multiple drawings. SmartPurger handles crashes so the batch processing continues to the end and leaves bad drawings to be corrected manually. Many purge and cleanup settings available. Useful before backups and distribution of drawings. The file's modified time stamp can be restored.